300 years ago, the British Empire faced a major problem: how can a ship at sea accurately determine its position. Finding your latitude was easy and involved measuring the distance of the Sun or North Star from the horizon, but what about longitude? No one knew, so Parliament offered 20 thousand pounds to anyone who could figure it out. 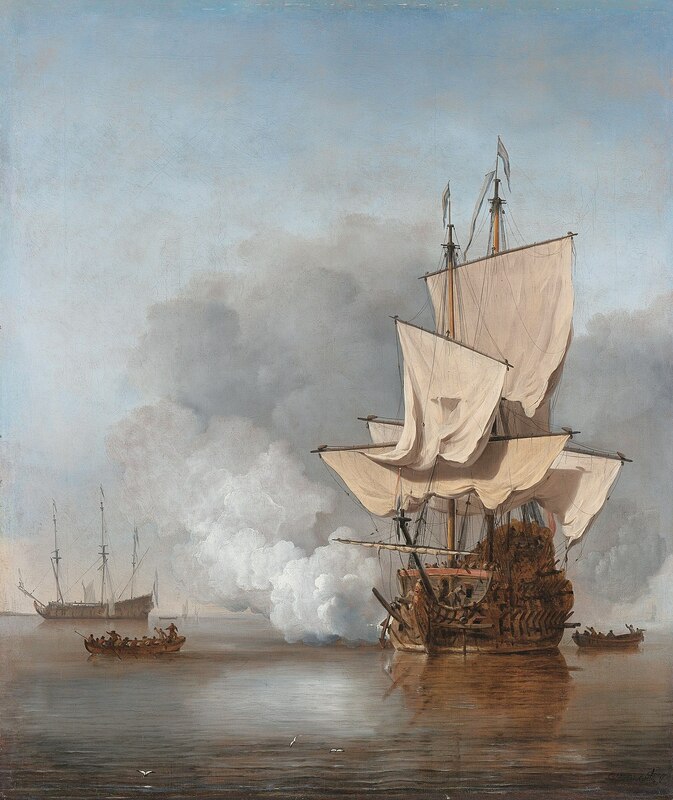 A British “man of war,” the backbone of the British Navy from the 16th to 19th Centuries. Antibiotics: What can we do to prevent bacteria from becoming resistant to our antibiotic medications? Dementia: People live a lot longer than they used to, and that means we’re seeing more cases of Alzheimer’s and dementia. What can we do to help the elderly maintain healthy, independent lifestyles? Food: How will we feed over 9 billion people in the coming decades? Flight: Can we build commercial aircraft with zero carbon emissions? Paralysis: Could new medications and/or cybernetic technology make it so the paralyzed can walk again? Water: Only a tiny percentage of the water on Earth is safe to drink. Again, the world population is expected to exceed 9 billion in the coming decades, so how will we provide clean drinking water to all those people? Anyone who has a BBC iD can vote on which of these six projects should get Longitude Prize funding (click here for details). My choice would be either for flight, since I’d love to travel without feeling guilty about the environment, or water, a problem which I suspect affects the greatest number of people worldwide. So what about you? Which project would get your vote? P.S. : The original winner of the Longitude Prize was John Harrison who found a way to calculate longitude by comparing the position of the sun (or other astronomical object) to the time of day. Posted by J.S. Pailly on June 6, 2014 in Sciency Words and tagged Longitude Prize. There are some important things to be researched on that list, but I’m not sure a prize will motivate research into many of them the way it did with longitude. How would they decide that the future problems of food, water, or antibiotic resistance were “solved”? I think it would be better to set more measurable goals, like desalination with x% less energy usage, or x% more crop yield per acre. I wonder what percent of emissions come from aircraft? It might be better to focus on some sort of ocean tide power, or more efficient electrical transmission from solar farms or nuclear plants out in the desert. Perhaps there are already enough people working on those fields, though. So, I really like both the idea of a prize and solving those problems, but I hope they can choose prize criteria that actually motivate people. From what I’ve read, it sounds like research is already being done on all of these things. The modern Longitude Prize has more to do with getting the public to support these projects, I think. Mor measurable goals would probably help, though.